MRI report for migraine says minimal microvascular changes. What does it mean? 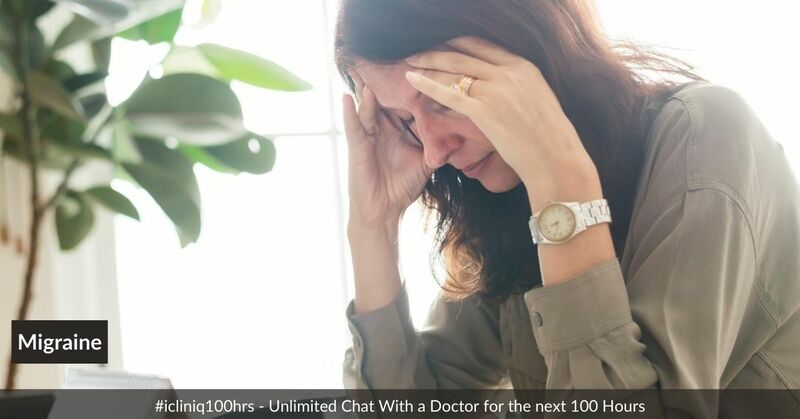 iCliniq › Ask a doctor online › Answers › Neurology › Migraine Headaches › MRI report for migraine says minimal microvascular changes. What does it mean? Q. MRI report for migraine says minimal microvascular changes. What does it mean? I am 52 years old and had an MRI for worsening migraines for the last six months. I have had migraines for 31 years. The finding was a few foci of T2 and 3 mm T2 prolongation within the left frontal subcortical white matter. No associated restricted diffusion or abnormal enhancement. No additional parenchymal signal abnormality. The ventricles and midline structures are of normal appearance. Impression or conclusion: Minimal left frontal chronic microvascular ischemic changes. No findings of an acute intracranial process or abnormal enhancement. What does all this mean? My neurologist said to take seizure medicine for the migraines and my brain is fine. Currently, I am taking 12.5 mg of Amitriptyline every day and Sumatriptan when needed. • MRI shows 'intermediate signal intensity lesion in endometrial cavity.' What is it? • MRI spine showed intramedullary mass at T4. Is it a cyst or malignancy? • Are these symptoms of a menopause? Explain your headache. It is onset, severity, site. Any associated vomitings? Its frequency? How does your migraine improve? Which seizure medicine you are taking? Is it Topiramate? I am not taking the seizure medicine. I am going through perimenopause, so I think that is what is making them worse. My migraine starts very fast now, usually on right side of head over eyebrow. I have to take 100 mg of Sumatriptan and six Tylenol to stop. I used to have two in a month, and last month had 13. How is the MRI normal? Do many 52 year olds have the same findings? Does it mean I have had small strokes on the left side, and something is wrong with white matter? It is unlikely to be due to ischemic changes in your brain. This looks like a migraine headache to me. Moreover, a positive response to Sumatriptan and Tynelol favors the diagnosis of a migraine. Menopause can cause precipitation of a migraine. I would recommend in such case scenario to start on tablet Flunarizine 10 mg daily at bedtime and very soon, your migraine headaches would disappear. I am nearing menopause and periods have become irregular. How to manage? My wife has been suffering from migraine and gastric irritation. What to do?